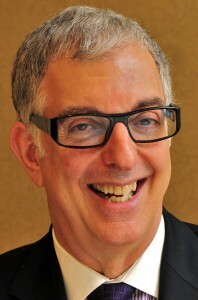 JOEL SILBERMAN (Democracy Partners) comes to political communications from a disciplined theatrical and musical career and is now a widely respected media strategist/trainer for progressive organizations, activists and candidates. Among his clients are: Progressive Congress, Earthjustice, Van Jones / Rebuild The Dream, Women Donors, Network, People for the American Way Foundation, the Young Elected Officials Network, Media Matters for America, the New Organizing Institute (NOI), the Gay and Lesbian Alliance Against Defamation (GLAAD), the National Women’s Law Center, and the Lawyers’ Committee for Civil Rights, The Leadership Conference for Civil and Human Rights, Markos Moulitsas (DailyKos.com), Nate Silver (538.com), Mike Lux, Lt. Dan Choi, GetEQUAL, Matthew Segal (OurTime.org) and numerous Federal, State and Local elected officials. Mr. Silberman is on the faculty of the Women's Campaign School at Yale University and is a frequent guest lecturer at the Juilliard School in New York.